Building a campaign for your project is sort of like having a relationship. And if you want things to go to the next level, you’ll need to spice it up and keep things interesting. In other words, you’re not merely trying to grab your backers’ attention—you’re aiming to make them fall in love. Unfortunately for many, love doesn’t come that easily. 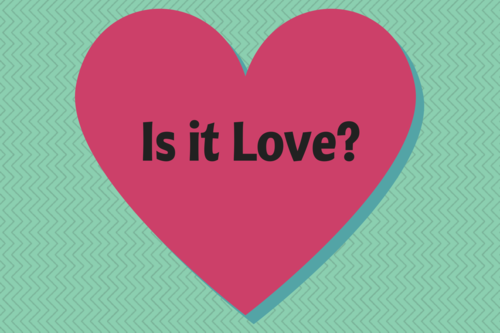 Sometimes what we think is love is actually just infatuation—aka the honeymoon phase. About a week or so after you’ve launched your Kickstarter campaign, analyze your successful reward tiers, or what we like to call your “sweet” tiers. Typically, there are two “peaks” of reward tiers—a low and high sweet tier. A low sweet tier is generally somewhere between $20-$35. It’s a tier that usually has a really cool item that the majority of your backers can afford. A high sweet tier can start from $75+, and has items that are pledged by die-hard fans. These tiers can give you insight on what items or reward tier packages backers are drawn to the most. Think about what else you can offer that is just as enticing as the sweet tiers and give them a sweet deal with another goodie at a slightly higher cost. It’s easier to jump from one tier to the next if the cost difference is minimal. 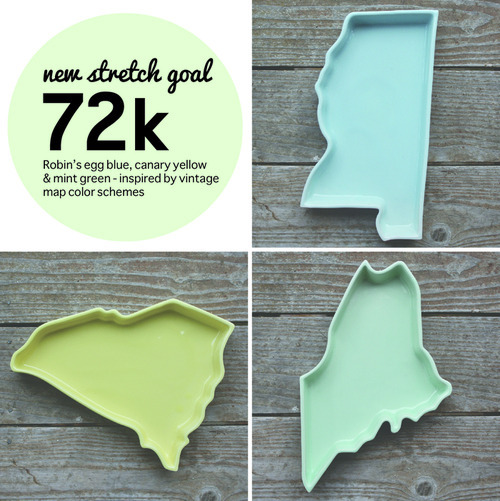 If you’ve reached your funding goal, or are trending to, consider creating new stretch goals. A modest and attainable stretch goal makes backers feel interested and involved to push the entire project to the next funding level. You generally want to set a stretch goal that is attainable and appropriate for the size of the project. Say you reach your initial goal of $35,000, you may want to make your first stretch goal $40,000, and if you reach that, then you might want to set your second stretch goal at $45,000. Making your stretch goals short enough of a jump to get to is usually an effective strategy. Fred’s Fate Core campaign is an exampleof how you can use small, incremental stretch goals to keep your backers excited. Some project creators create and expose all of the stretch goals they plan on offering all at once in a list on their page, while others release them after the next one has been achieved. Some stretch goals include things like unlocking free or purchasable items (add-ons), releasing a new upgrade, or any other special goodie the project creator decides to offer. Some projects use “Early Bird” tiers kind of like a discounted thank you reward to those backers who are the first to donate to their campaign. Early Bird tiers are limited and tend to run out fairly quickly. 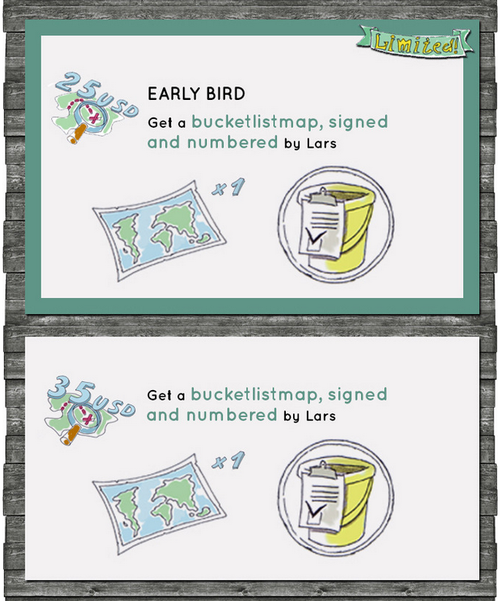 You can have multiple Early Bird reward tiers for different items at different pledge amounts. Most project creators offer them at the launch of the campaign, but some have released different versions as the campaign is running. The point of Early Bird tiers is to offer a limited discounted special item to those who jump on board early on. This can be great to get backers initially interested in your projects, and can even be used for pick-me ups if they’re peppered throughout the campaign. Add-ons (sometimes called “extras” or “à la carte”) are items that project creators can make available to their backers outside of the reward tier they’ve selected. Backers can “add on” more items if they want to. Offering add-ons gives your backers another opportunity to get more items from you, and also helps the campaign reach its goal and/or stretch goals. Add-ons can also be handy if your reward tiers are tightly placed together and you have no wiggle room to create new reward tiers from your sweet tiers. While planning your add-ons, make sure you factor any international shipping fees you need to cover the cost for each add-on. Set packages are nice, but like you, backers are individuals and sometimes may want to satisfying their unique tastes, and would appreciate and possibly donate more for that extra bit of customization. Word of caution though—don’t get carried away with it. You don’t want to make it so custom that it becomes difficult to manage. Try to think ahead. 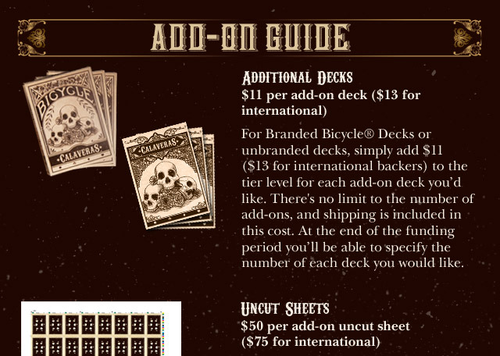 Add-ons need to be manageable especially if you end up with an unexpectedly large number of backers. 5. Plan and make time.